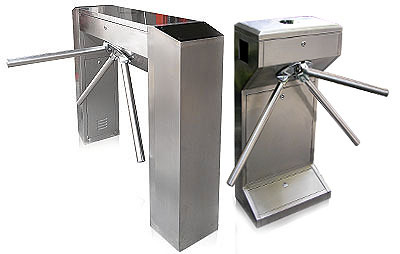 We provide extremely versatile and effective turnstile and wide range of entrance control systems. Pedestrian access control systems enable controlled and secure access to areas defined by the operators. They are safe and easy for users to use. They are made with high quality components. We have a specialist team; please call us for more details. Bharti is extremely customizable in terms of what types of turnstiles can be used. MNC maintains relationships with many different turnstile manufacturers and vendors to supply its customers the unique access control solutions they need. Bharti is a good installer in anti-tailgating security entrances in United Arab Emirates. Today our suppliers the same rugged Tomsed turnstile models and we install it around United Arab Emirates for years of maintenance-free performance in harsh outdoor conditions, Such as transit stations, oil refineries, and other outdoor applications. Bharti’s 10+ years of success is due to an emphasis on quality design, and by providing unsurpassed customer service, support and training to its customers and reseller partners. For more than a decade, Bharti has been the globally trusted name in pedestrian control devices. We are the first choice of leading architects, facility managers, security consultants and government engineers. Whether your project requires high security, full-height or waist-height turnstiles, or matching ADA accessible gates, Bharti is the secure choice. And, we’re experienced in access control systems from card readers to biometric scanners, to give you the power to control access.